No, it’s not just another Thursday night in at M&WHQ, we’re talking about an event taking place this Saturday at The Arches, in Glasgow. Next door to Central Station, just under the Heilanmans Umbrella, you’ll find The Arches – a great little space that’s host to every kind of entertainment, including live music, performance, art and even aliens. This Saturday we’ll be there with our Mimi and Will samples for you to see in person, as well as assorted goodies from our alter egos with StellaMyStar and GirlIndustries. 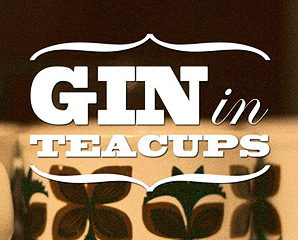 Gin in Teacups is a well-established Scottish vintage and crafts market and we’ve been assured that their events at the Arches are always a good time. So come and join us from 12-5, check out what’s on, and maybe treat yourself to a bite to eat or stick with the theme and go for some gin in the bar. Hope to see you there! Can’t make it along to see us? Remember you can always place your order online – but only for the next 6 days – at Indiegogo.